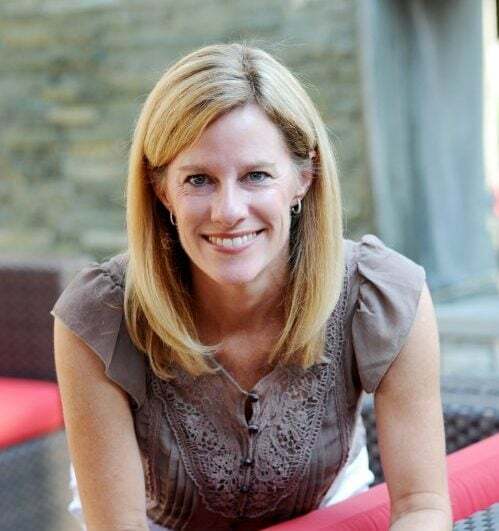 This post is sponsored by Sugardale Foods and SheKnows Media. All opinions are honest and 100% my own. 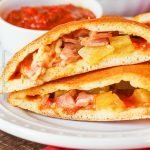 Oozing with melted mozzarella cheese, smoked ham and sweet, fresh pineapple, these “hot pockets” are a hit anytime of the day. In my house we love Hawaiian pizza. It was my mother-in-law’s favorite. Calzones are just as delicious and easy to make. Have you ever made one at home? They can be ready in under 30 minutes. There is something about the combination of ham and pineapple and melted cheese. Stuffing these simple ingredients into a handful of dough keeps everything wrapped up in an easy-to-hold type of sandwich. Or cut them up and dip them into marinara or barbecue sauce. And this recipe couldn’t be any easier. You don’t need to go to a pizza shop to eat your favorite calzone. I make them at home using Sugardale Natural Uncured Smoked Ham. This ham is honey sweet and has no artificial ingredients or nitrates. 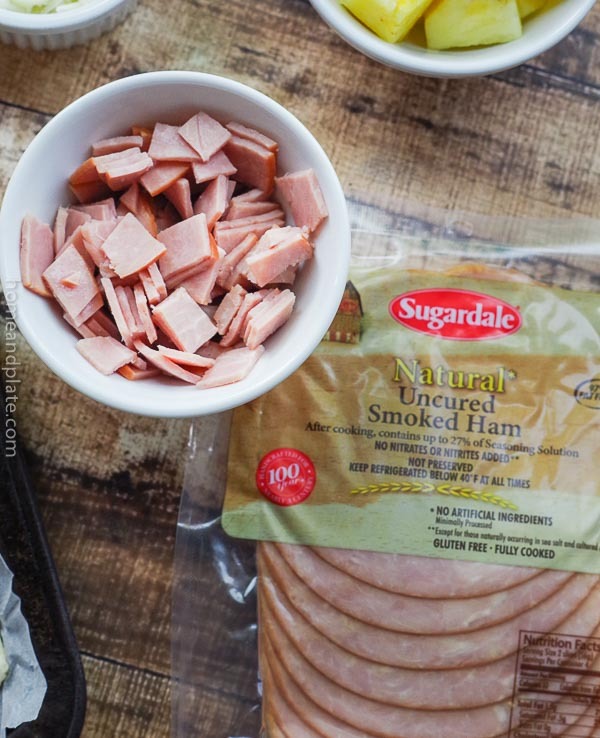 Sugardale is showcasing a new line of Natural Uncured Lunch Meats and I was lucky enough to be one of their first taste testers. Their ham is a favorite deli meat in my house as is their turkey. It’s the lunch meat I choose when making sandwiches and packing lunches for my kids. Now it’s available uncured. We love the smoked ham and gobbled it up using it in this calzone, and in our chicken cordon blue recipe for dinner. With plenty of ham leftover, I used it to make breakfast ham and cheese omelettes over the weekend. Now it’s available near you! My local grocer carries the Sugardale brand. Click here to find out where the product is available near you. Allow the dough to come to room temperature before using. Make sure you have plenty of dough to carefully cover your ingredients and to crimp the edges together. Don’t overstuff your calzone. You need space during baking. If it’s too full it’s likely to leak. Poke a few holes in the top of the calzone to allow steam to escape. Brush the tops of the calzone with an egg wash before baking. 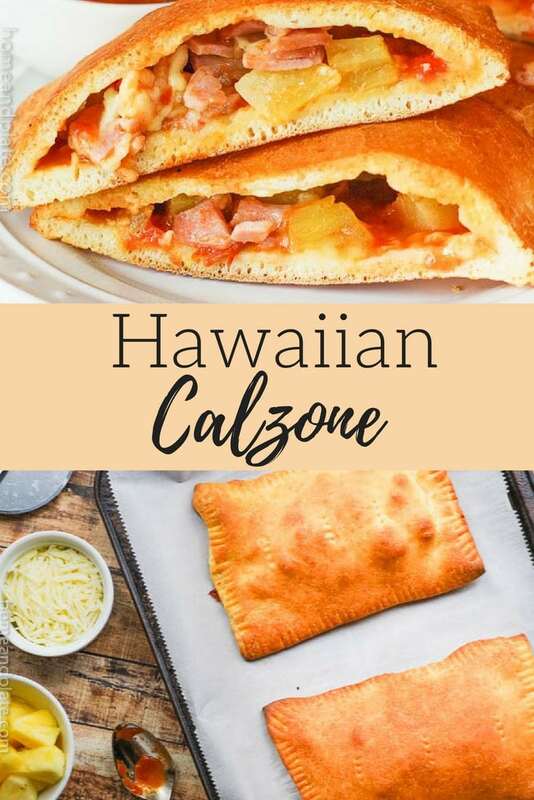 Want to learn how to make this Hawaiian Calzone? Pin it to your Lunch or Pizza board to save for later! Preheat oven to 425°F. Prepare the pizza crust according to package directions. 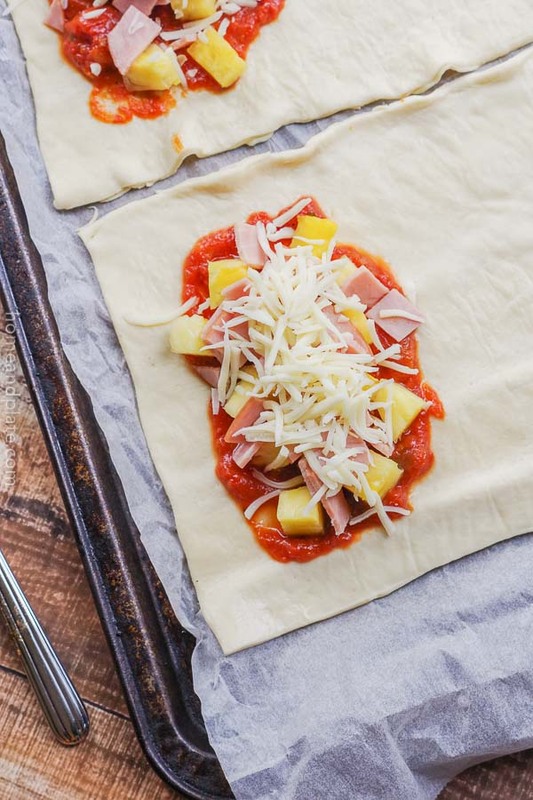 Spread a spoonful of marinara or barbecue sauce over the dough leaving room at the edges. 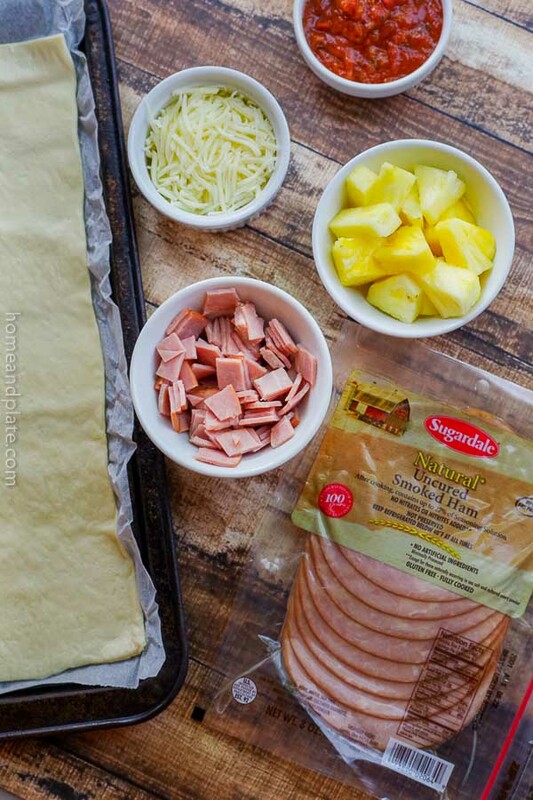 Add the ham and pineapple and sprinkle mozzarella cheese on top. 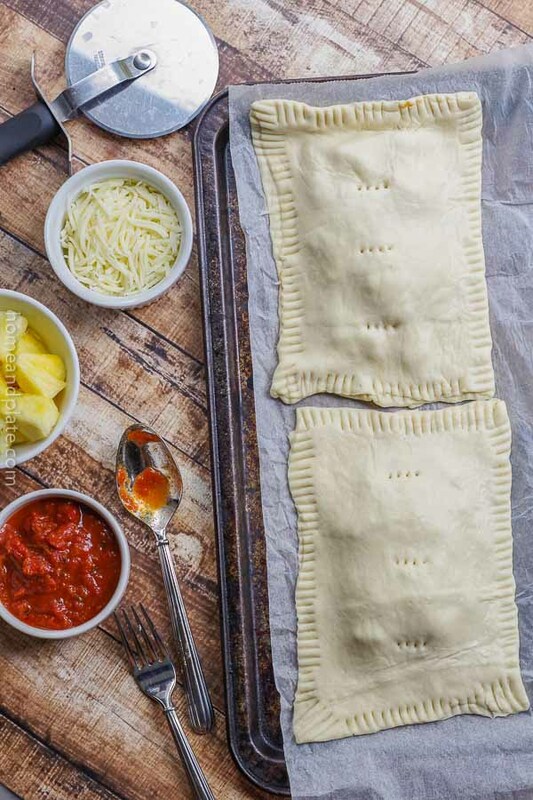 Fold the dough over the ingredients to form the calzone and press the edges together with a fork to seal. Brush beaten egg over the dough and pierce the top in several places with a fork to allow steam to escape. Bake the calzone for 20 minutes, checking after 15 minutes. Remove the calzone from the oven and allow it to cool for five minutes before slicing. 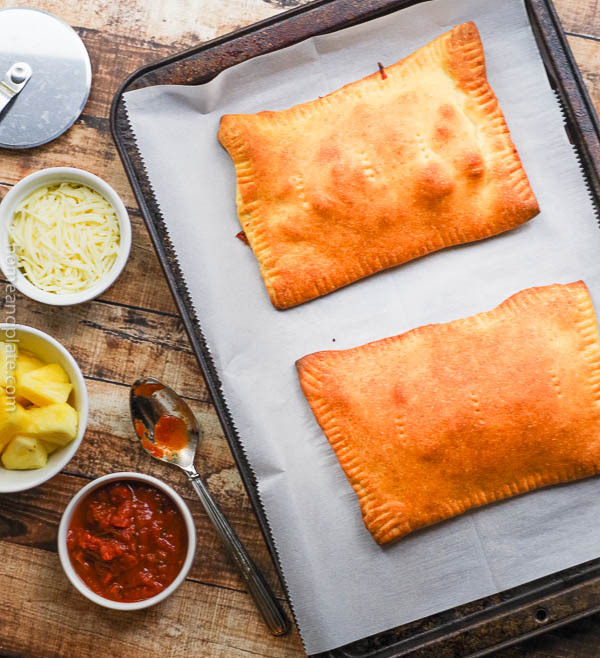 These calzones look delicious and easy to make. I LOVE hawaiian flavors! This is a win for me! Me too…thanks Cindy. Easy and delicious. What a fun calzone!! Great combo of flavors and easy too! Love that! What a delicious calzone! Ham and cheese calzone are my husband’s favorite! It’s great that they are so easy too! Perfect for after school snack! 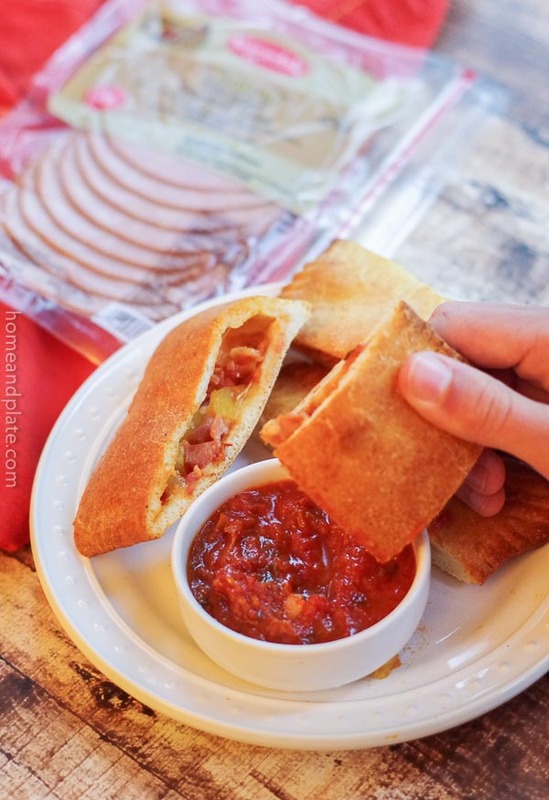 Ham and cheese is the best…I agree! Thanks Beth. Brings back delicious memories I’m sure…the calzone can really be stuffed with any of your favorite ingredients. 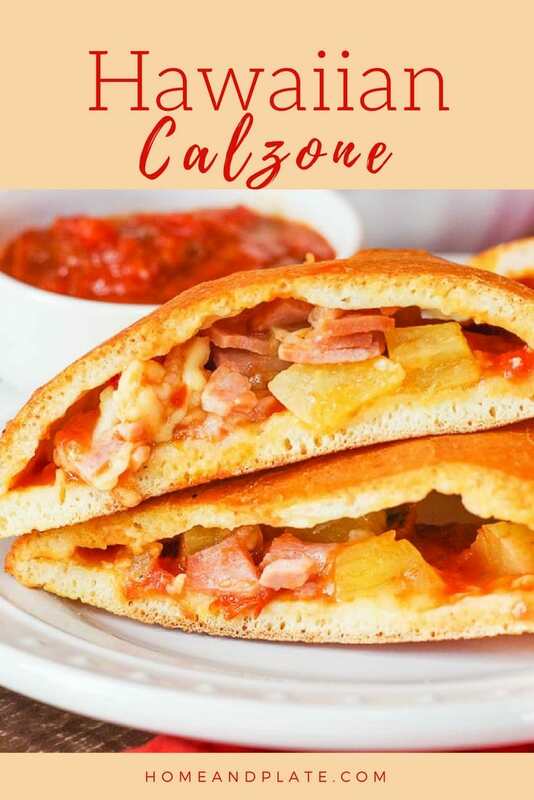 I would love to try a vegan version of these Calzones. I have never tried this but seems interesting.